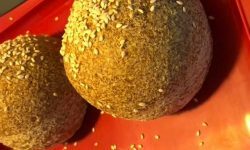 Matt's Recipes – Recipes for the busy family. Recipes for the busy family. This is some super tasty stuff, and you can load up the fridge with it and eat for a week! We've finally found a bread recipe that makes something that actually looks and feels like bread. These come out amazing and both healthy AND delicious! Here we keep a log of the wonderful stuff we manage to cook up from time to time. We recently purchased a Thermomix, so expect most recipes going forward to be made using it. I don’t know why they call it that, but it’s damn delicious! A great winter warmer! We’ve finally found a bread recipe that makes something that actually looks and feels like bread. These come out amazing and both healthy AND delicious! Stop buying that garbage from the supermarket and make your own. Just a few minutes and you’re ready to dress your next salad with healthy delicious Italian style dressing. 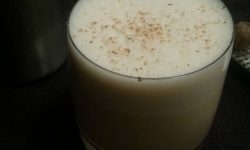 A work in progress egg nog recipe, updates will be posted as I improve it. Thanks for visiting, we hope you enjoy the recipes.